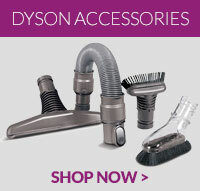 This is a genuine Dyson replacement hose for your DC27 vacuum cleaner. The hose stretches to the len.. Exceptional quality compatible Dyson DC27 hose assembly complete with hose ends for all Dyson DC27 v..
Dyson DC27 bottom internal hose assembly for Dyson DC27 vacuum cleaner models. Replace your.. Compatible valve hose for Dyson DC25 and DC27 vacuum cleaners. .. This cap cover is a genuine spare part for Dyson DC27 and DC33 model vacuum cleaners ..
Genuine spare part to fit Dyson DC25 and DC27 vacuum cleaners ..
Genuine replacement wand handle to fit select models of Dyson DC27 vacuum cleaners ..